This alert gives notice to five recent vehicular hijackings that have occurred in the Englewood community on Beats 712, 713 & 714. The victims are either sitting in their parked car or stopped for a traffic control device when one or two offenders run up to victims and point a gun at the victim. The offenders order the victim out of their car and the offenders enter the car and drive away. This alert gives notice to an Aggravated Criminal Sexual Abuse that occurred in the 6th District (Gresham). In this incident a female victim was accosted and brought into a gangway at gun point where she was sexually abused and robbed. In addition the offender attempted to carry out an aggravated criminal sexual assault at this time but the attack was interrupted by a citizen passing by. This caused the offender to flee the area Westbound on 75th St. from Green St. The offender made off with the victim’s purse, which contained two Samsung cell phones. This alert gives notice to two recent Armed Robberies that have occurred within the boundaries of the 5th & 7th Districts. In these cases, victims had just purchased televisions from big box stores located in the Pullman & Auburn Gresham neighborhoods. When victims were unloading their vehicle at their residences, three male offenders exited a vehicle, displayed handguns and took the merchandise. It is possible the offenders followed the victims from the store parking lots, after watching them load the televisions into their cars. 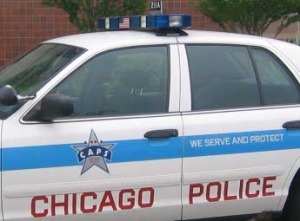 This alert gives notice to three recent armed robberies at retail stores in the Auburn Gresham and Englewood neighborhoods on beats 614 and 711. In these incidents, two unknown offenders entered the retail stores, armed with a gun, and announced a robbery. The offenders then took an unknown amount of US currency from multiple cash registers and also, possibly, robbed customers of their property. The offenders were last seen fleeing on foot. This alert gives notice to two recent robberies of tow truck drivers that have occurred in the Englewood neighborhood on beat 733. In these incidents, a tow truck company is called to have a car towed. When the tow truck driver arrives to tow the car, an offender distracts the victim while the other two offenders exit the gangway armed with handguns. The offenders rob the victim of his money, wallet and cellular phones. All three offenders then flee on foot. This alert gives notice to six recent thefts from vehicles that have occurred in the Englewood neighborhood on beats 713, 714, and 725. 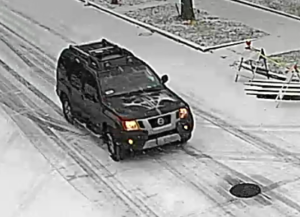 In these incidents, an offender approaches a car that is stopped for a red light and usually asks the victim if they want to make a donation to a school. The offender then opens the passenger door or reaches into the open passenger window and takes the victim’s cell phone from the passenger seat. The offender then flees on foot. 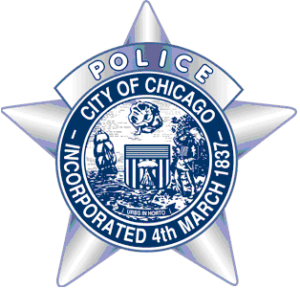 This alert gives notice to two recent Armed Robberies that have occurred in the Englewood neighborhood on beat 723. In these incidents, an unknown offender entered the businesses and displayed a chrome & black handgun to the cashier and demanded money from the register. After the offender received the money, he exited that businesses and fled on foot.